Hosts 5 dynamic attractions that you will find no where else in the world. Not your ordinary boring hayride or haunted houses. Extreme Nightmares Haunted House, Blood Slingers Saloon Haunted House, The Famous Haunted Hayride, The Haunted Barn, and Monster Visions in 3-D Haunted House. We are committed to deliver screams to all people of all generations. Extra cost NEW Zombie Paint ball Hunt in 3D, Zombie Paint Ball shoot. Open weekends from Sept. 21 through Oct. 28. A whole new fear experiment, Hauntville Haunted Houses, Ohio’s Scariest Haunted Houses featuring Wicked Clowns in 4-D, Ohio’s First 4-D Haunted House. 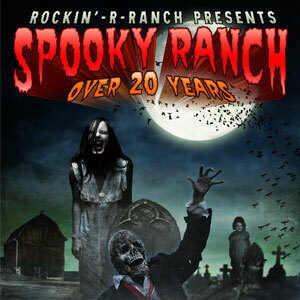 Four separate themed haunted houses in a full theatrical intertwined maze of terror! Taking you to the edge of sanity…then pushing you off! Described by some as a trip to a small town, lost in the middle of nowhere. Open weekends from Sept. 21 through Nov. 3.